* Are you a consumer or do you work in the trade? Please click on a country below to expand. In the Australian regions of Coonawarra and Margaret River, Cab reigns supreme. There are few grape varieties as steeped in regal metaphors as Cabernet Sauvignon. That status is deserved, due to its power, structure and ability to express a unique character nearly anywhere it’s planted. In Napa, the “king of grapes” often rules with muscle and opulence, while in its native home of Bordeaux, its reign has been a long and more complex one. And in Australia, two different and distinctive Cabernet kingdoms have developed: Margaret River and Coonawarra. Margaret River, a windswept slice of Western Australia’s southern coast, produces medium-bodied Cabernets of elegance, complexity and transparency. Almost all wear a crown of briny sea spray, pencil lead, eucalyptus and currant. Coonawarra, a region with nearly 130 years of wine history, rests about halfway between Adelaide and Melbourne, on the southeast edge of South Australia. The region, with its famed, ancient terra rossa soils, sits 60 miles from the sea, and spawns rich, sturdy Cabs etched in dark berry fruit, mint and dried herbs. Though many Australian winemakers have unlocked Cabernet’s magic, only a few have devoted their lives to this noble grape. They’ve searched endlessly for an understanding of the connection between grape and land. Here are six of Australia’s most devoted subjects, who’ve helped shape Cabernet’s reign down under. Just two miles from the Indian Ocean, beneath towering jarrah trees in the heart of Margaret River wine country, is a winery that has done more to advance Australian Cabernet Sauvignon than almost any other. And yet, for all its influence and accolades, Cullen remain a salt-of-the-earth, family-run farm. Vanya Cullen, the managing director and chief winemaker, seems to be in constant motion. She dashes from winery to tasting room, from vineyards to veggie patch. Her parents, Kevin and Diana Cullen, were at the forefront of grape growing in Margaret River. They started to plant vines as early as 1966, and they achieved commercial success by the early 1970s. Their vineyards are located in what’s now known as the premier Cabernet subregion, Wilyabrup. Vanya, the youngest of six children, grew up among her family’s vines. She started making wine alongside her parents in 1983, and was appointed chief winemaker in 1989. Not only have the Cullens crafted some of the most heralded wines in Australia, they’ve also been longtime environmental leaders. The family has championed biodynamics, water self-sufficiency, solar power, carbon neutrality and sustainable packaging. Their restaurant, one of the oldest and most beloved in the region, serves biodynamically farmed produce sourced from the property. Cullen’s top Cabernet bottling, Diana Madeline, is one of Australia’s most heralded wines. A limited-release selection, it bears Vanya’s mother’s name and includes small amounts of Merlot, Petit Verdot, Malbec and Cabernet Franc. Complex, elegant and very ageworthy, it expresses Cullen’s vines and the influence of the nearby Indian Ocean. Recently, Vanya introduced a second limited-release Cabernet Sauvignon that bears her own name. Made with the minimal intervention philosophy she’s so passionate about, it also spends time fermenting in terracotta amphorae. Penley Estate may not possess the long history of Wynns, but it does have a fresh, young winemaker and a family lineage that stretches back to the early days of South Australia. Right in the heart of Coonawarra, Penley was founded in 1988 by siblings Ang, Bee and Kym Tolley. The name Penley is a mashup in honor of their parents, Judith Anne Penfold Hyland and Reginald Lester Tolley. Both the Tolleys and the Penfolds are founding families of the South Australian wine industry, the latter widely known for establishing one of Australia’s most famous wine brands. In 2015, Kym Tolley retired as chief winemaker, and his sisters sought to breathe new life into the brand. They revamped the label and opened a sleek tasting room in McLaren Vale in 2017, where visitors from Adelaide can more easily taste the bottlings. 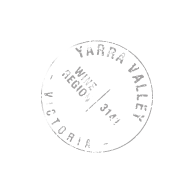 In 2016, they also hired a new winemaker, who arrived fresh from a role at Punt Road, an acclaimed Yarra Valley winery. While Goodman produces a very different style of Cabernet Sauvignon under her own Yarra-based label, Goodman Wines, she’s made exciting changes to the Cabs at Penley. Penley’s Cabernet Sauvignon plays a starring role in the winery’s many “series” labels. One, the Tolmer, is part of its Heritage Series, and named for the Tolley’s great-great grandfather, a police commissioner of South Australia. Another, the Phoenix, is part of the Mythology series. Each express variations of Coonawarra Cabernet’s trademark power, fruit intensity and distinctive dried herb and mint characters.